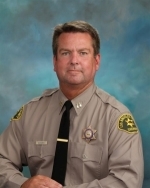 Patrick Davoren, a 31 year veteran of the Los Angeles County Sheriff’s Department, was promoted to Captain by Sheriff Lee Baca and assigned to the Malibu/Lost Hills Station. Malibu/Lost Hills Station is responsible for providing police services to the cities of Malibu, Westlake Village, Agoura Hills, Calabasas, Hidden Hills and the County areas within the Third and Fifth Districts. Captain Davoren’s career with the Sheriff’s Department began in 1981 as an Intern at the Old Malibu Station where he worked in the Detective Bureau as an administrative aide. After graduating from the Sheriff’s Training Academy as a Deputy Sheriff, he was assigned to Men’s Central Jail, Lynwood Station and West Hollywood Station. Captain Davoren then spent the next ten years at S.E.B. as a member of the Special Weapons Team. Captain Davoren promoted to sergeant in 2000 and was assigned to Compton Station, Narcotics Bureau and Financial/Fiscal Administration. In 2005, Captain Davoren promoted to Lieutenant and was assigned to Compton Station, Malibu/Lost Hills Station, Men’s Central Jail and Narcotics Bureau. In 2011, Captain Davoren was assigned as a Chief’s Aide for Detective Division. Captain Davoren holds a Bachelor of Science Degree in Public Administration from the University of La Verne and also attended the Executive Management School at Cornel University. Captain Davoren, his wife Mary – Pat and their children reside in Ventura County. Their oldest son Scott recently graduated From San Diego State University and shortly thereafter was commissioned as a Second Lieutenant In the United States Marine Corp.
Their oldest daughter Brianna will be a junior at Cal Poly San Luis Obispo and will spend her junior year abroad in Italy. Captain Davoren enjoys coaching youth sports and currently manages a Travel/All -Star baseball team. He and his family enjoy spending time at the beach, camping, surfing and roasting marshmallow s’mores over an open fire.